The minute you send out the invitations, you can’t wait to hear the first reactions from your guests. 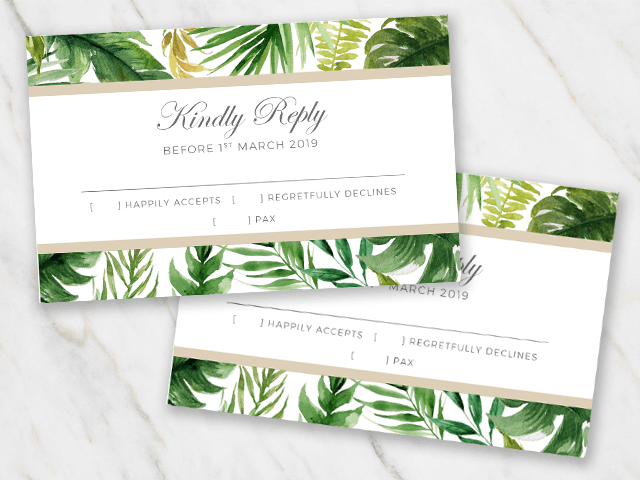 Make sure they don’t forget to RSVP with these lovely free templates! It’s six weeks prior to the big day, what’s next? So you want to send out your wedding invitations. Normally you do this six weeks prior to your wedding day. Of course it depends on whether you will be getting married nearby or abroad (but you probably have used the save-the-date templates already, so your guests have already blocked the date). 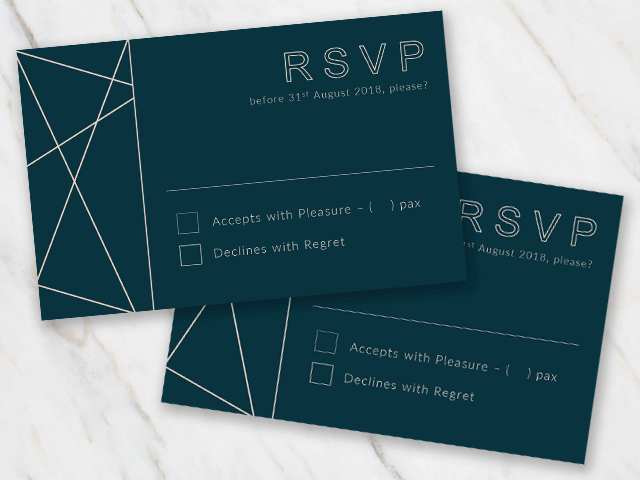 Alongside the invitations, you can include RSVP cards. 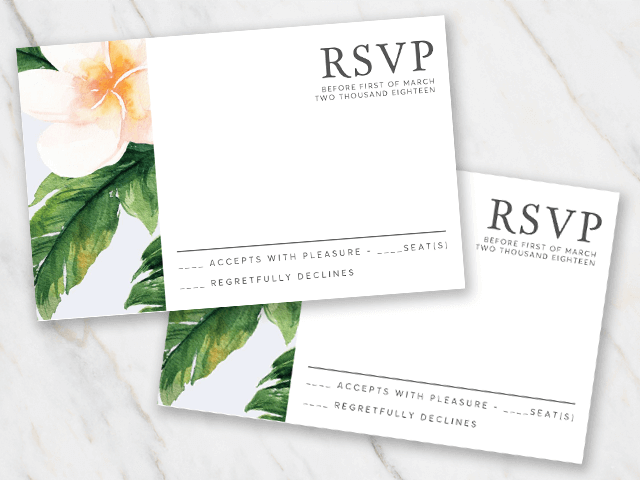 With these adorable RSVP cards, guests can reply whether they will be attending or not. This makes it easy for you to keep track of the guest list. Next to that, you can also ask them to write down whether they have a food allergy or not. It will save you heaps of time! 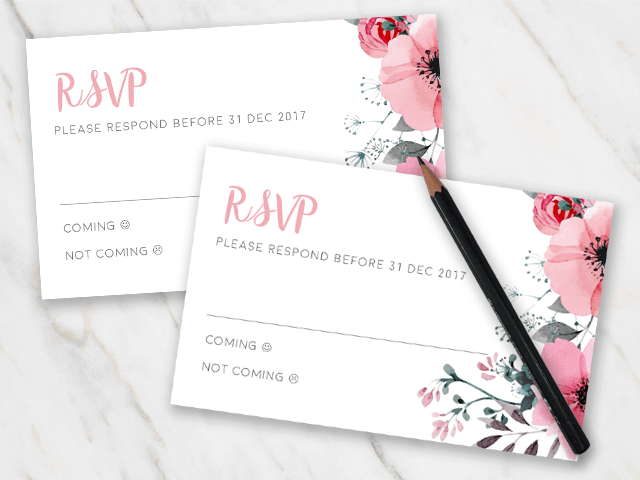 What does RSVP mean? And how does it normally work with Wedding RSVP cards? The abbreviation RSVP originally comes from the French phrase ‘Répondez, s’il vous plaît’, which literally means ‘Please respond’. It is quite normal to send a response card together with the wedding invitation. On this card, guests can let the couple know if they will be attending the wedding or not. Often, there is a line on the card to include your name and in some cases, you also have to make a menu choice for the meal being served. Find your favorite wedding RSVP templates now. They’re ready to use. When including a wedding RSVP card, do not forget to include a pre-addressed and pre-stamped envelope! This makes it a lot easier for the guests to send the card back to the hosts. 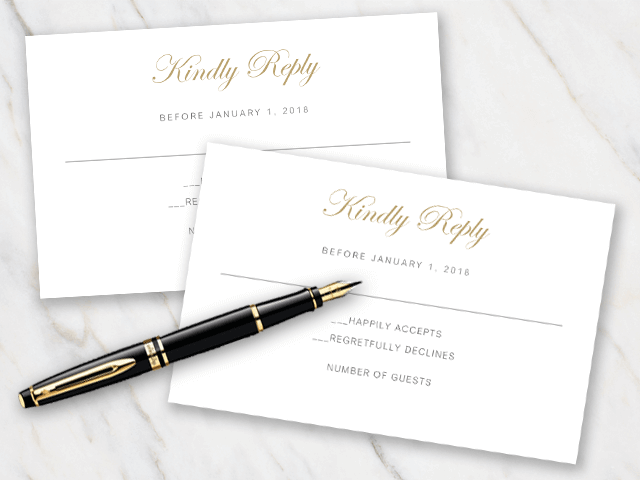 Most RSVP cards have a requested return date, typically three weeks before the big day. This will make it easier for the hosts to get an accurate head count for e.g. catering and furniture rental. 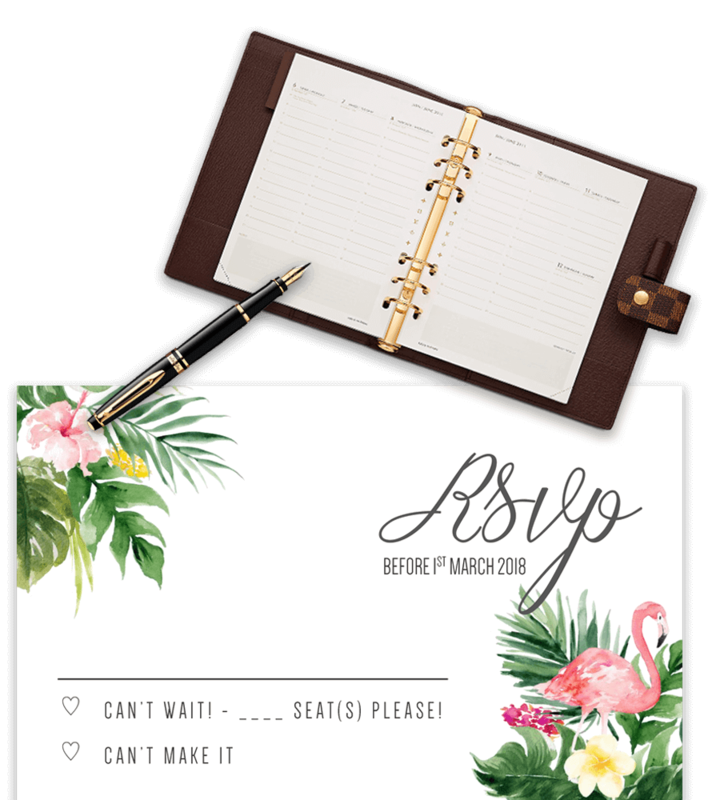 Have you already taken a look at the different free wedding save-the-date and wedding invitation templates? Each style comes with a printable save-the-date, invitation and RSVP card. This makes it a lot easier for you! Just think about what you would like to know from your guests, e.g. : with how many guests will they be attending, do they have any food allergies, do you need to book a room for them (of will they do it themselves), etc. 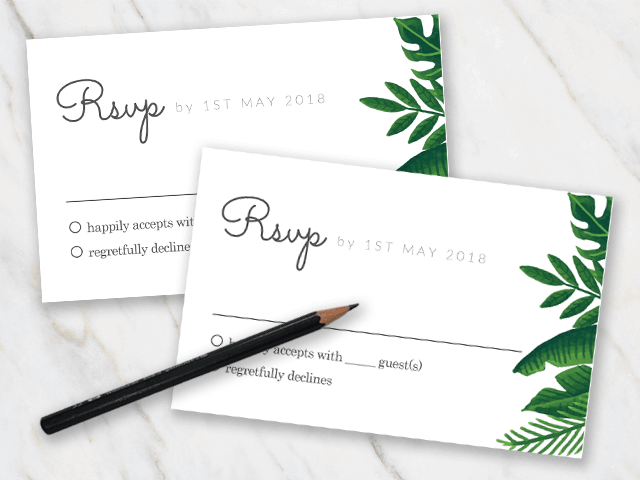 Make sure you include all options on the card and include the card (together with a pre-addressed and pre-stamped envelope) in the same envelope as the invitation. We hope you enjoy our free printable wedding RSVP cards and templates for Microsoft Word.